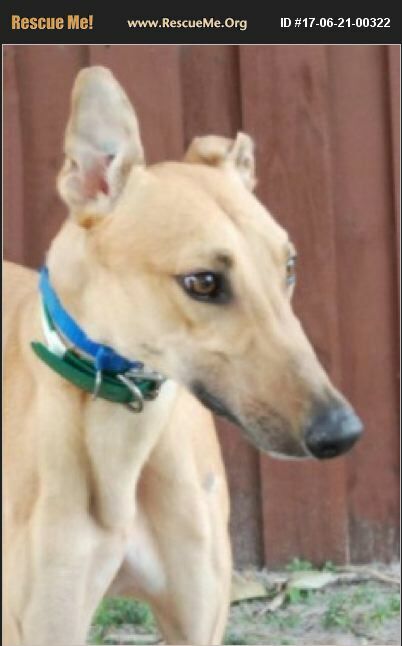 Logan originally came to us as a retired racing dog. His racing name was Fuzzys Bob Dylan and he was born in 8/16/11. He only had 6 race and the gave him to us to adopt out November, 2013. By New Years Day, 2014, he was in his new home. But it is a big family and he had some problems. Logan came back to us June 1, 2017. Friends of Greyhounds works with our families that may have a problem with a dog but we are always here to take back a dog if that is what the family wants. We do ask that they write up some detail (the good and the bad) so that a new family knows what they are getting with this dog. Because we are honest and open about return reasons, we have a better chance of getting a dog into the right home the second time. We have a detailed letter about Logan's life and problems in his old home so we don't repeat these scenarios. Logan never had a problem with the immediate family but did not like other people coming into the house and he is willing to be protective. So Logan is back in the kennel. He's not happy with the food but otherwise is handling it quite well. He has been very sweet to everyone here, human & canine. He is a good looking boy if you are willing to look past a bevvy of scars and a few missing toes. He has beautiful eyes and deserves a break. He is not cat tolerant and because of his history, I would prefer he be in a home with adults. We would love for you to come meet Logan and all of his kennel-mates. Our kennel information as well as the application and handbook of care are on our website Specific questions or to make an appointment to meet Logan or another dog, please call or email us!! Email is fogdogs@comcast.net Cell is 954-937-9663. Office is 954-578-0072 (don't leave a message - I'm terrible about messages.) For directions and more information, please visit our website: www.friendsofgreyhounds.org. Come make a fast friend today. You'll be glad you did.